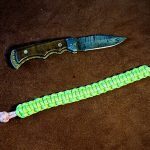 If you have ever wanted to make a nice knife lanyard using two different colours of Paracord, then maybe this method is for you. 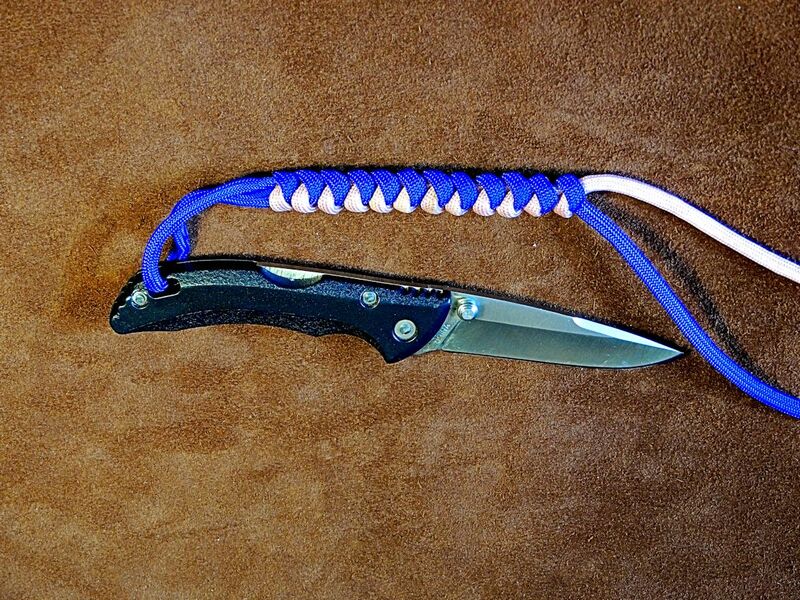 The photograph shows an example where two different colours of paracord have been used to make a Snake Knot Knife Lanyard. 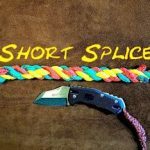 I demonstrate two methods of joining Paracord. 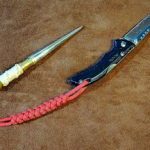 The first method is simply heating both the ends of the Paracord and then fusing the two melted ends together. The second method is a little more intricate, but you will end up with and extremely durable join that should hold under most conditions. 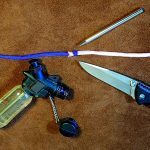 The thing to remember that when joining your Paracord using the interlocking method, it is only the strength of the outer casing that is holding it all together. 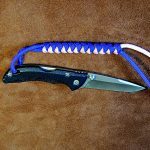 The reason being is that part of the Paracord is gutter to allow for the interlock method to work. 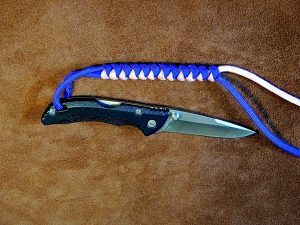 When you purchase Paracord good manufactures will tell you how strong the Paracord is with a core and also without a core. 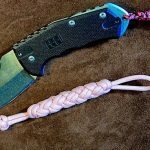 Once you have joined your Paracord, the trick then is to hide the join within the actual knot itself.